The Hebrews leave Egypt and come to the edge of the Red Sea. Moses: Hey God? You’re not gonna do that thing again, where you change Pharaoh’s mind and make him come after us, right? Because that would be really uncool, if you did that. Pharaoh and his army storm over on their horses. Pharaoh: I CHANGED MY MIND!!! God: Fear not, Moses. For this obstacle will only HEIGHTEN THE STAKES! Moses: I’d really prefer to just have low stakes. God: Take your rod in your hand Moses! With it, you shall part the very seas that block your path to freedom! 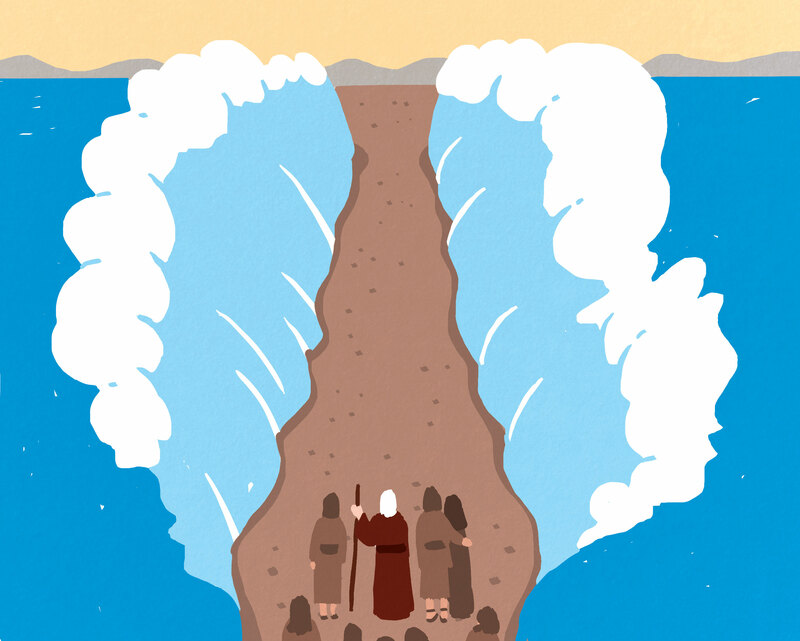 Moses raises his rod. The seas part. The Hebrews walk across the dry path, water forming terrifying giant walls on both sides of them. Pharaoh: This looks safe. Charge! The Egyptians ride into the path, and God had a fun time drowning them all. He also turns into fire and burns cause he can. The Hebrews make it to the other side and walk into the desert. God: If you heed my words, my children, I will not destroy you like I destroyed the Egyptians! I will not make the EARTH SWALLOW YOU, nor will I FREEZE YOU IN THE HEART OF THE SEA. For I am your benevolent healer. Hebrews: It’s hard to be appreciative when we’re hungry. Cause we’re in a desert. God: Behold! I shall fill your bellies with bread! God makes an edible “flaky substance” fill the desert. Hebrews: This is the bread? God: Oh, I’m sorry, were you expecting sourdough? Perhaps a CRANBERRY PUMPERNICKEL LOAF? Hebrews: What is this even made of? It looks like resin. God: You shall call it a MIRACLE MUFFIN, or perhaps a PRAYER PANCAKE!